If your pattern of giving ends in burn-out or bitter-out, it’s time for an upgrade. As a coach I’ve witnessed over and over how we need clear boundaries to sustain balance. Or respectful working relationships. Or a healthy body and present mind. But in an interview with Brené Brown, I leaned into her noticing that we can’t sustain compassion without boundaries. We must put the boundary first, and then the compassion (and the giving) is genuine. Sustainable. Wholehearted. For many of us, this flies in the face of how we’ve thought of a boundary. As something that separates. Makes us less approachable, connected, and of service to others. But what if it’s not. What if a boundary is actually the foundation of respect that we stand on to mutually support and thrive? As leaders, friends, or parents. Let Brené Brown’s definition of boundaries soak in for a moment – what is okay…and what is not okay for me. Simply put. 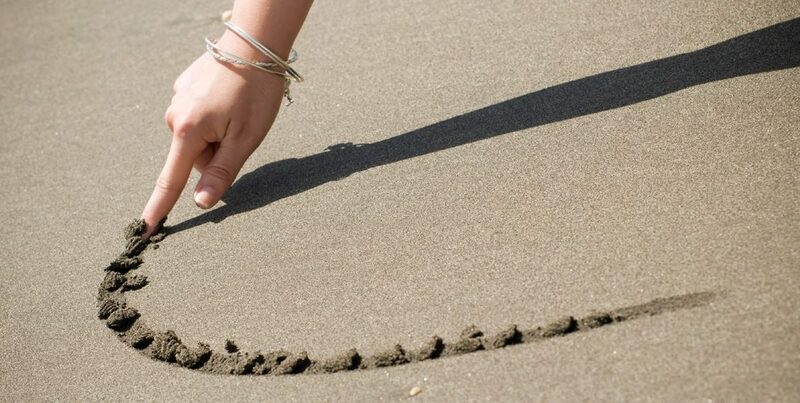 Yet for many of us, drawing that line in the sand is very difficult. So how can we download this upgrade? Where am I giving more than is healthy for me? What is not sustainable the way I’m doing it now? What is not okay for me? You might notice ways that you are being disrespected: your time, your ideas, your space. We can’t expect others to honour us, if we can’t first honour ourselves. So start there. How will you honour yourself today? With sleep or rest. With 10 deep breaths right now. With a walk outside. There is no need to dance around or soften your boundary. Add please and thank you – that’s all it needs. And if speaking your boundary still feels like way too much, notice the standard you are holding yourself to. Does it smell vaguely of perfection? You are more than the patterns you have created. Breaking an unhealthy pattern will not break who you are. Remember, the value you bring to the world and to your relationships is deeper than that. Consciously upgrade your definition of giving to = respect first and then wholehearted giving. Sink into your heart space. Remember the wisdom and strength within. You are whole. Breathe – Notice – Choose. Each of these three tiny books is special to me (and fit neatly in a stocking or as Chanukah gifts numbers 1, 2 and 3). Darci Lang’s Focus on the 90% is an inspiring, story-packed read on how to focus on the 90% that is good in our lives and let go of the 10% struggles. Darci has been a mentor and friend to me for years and I am grateful for her reminder that we always have choice! The Four Agreements is required reading for many of my coaching clients as they begin their journey into presence. I have read my copy dozens of times. And I share Modern Tales of Ancient Wisdom with you as a tool to return to presence in this chaotic world we live in, as we access more fully our wise higher self. Sending you all love and light this holiday season! Most of Rhonda’s clients have their company pay for coaching out of the training and development budget. Customized one-on-one coaching brings HUGE value for PD dollars, especially if communication, leadership, presence, and influence are on your list of goals. We’ve launched a new Leadership Coaching model that kicks off with a 2 hour super-session. Then 9 months of powerful 1-on-1 sessions. All by phone. Or in person if you live in Kelowna, BC. Email to request an inquiry conversation.